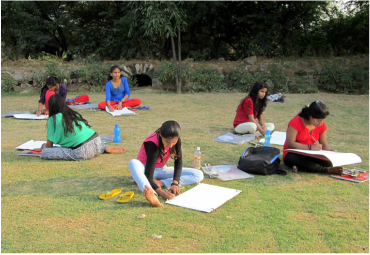 ​Since our first project in 2010, Artreach India has arranged volunteer residencies for twenty-seven artists from India and abroad. We have given grants to a further four artists -- our teaching fellows and community arts grantees. Through our Khel Mel workshops we have worked with eight master craftspeople. We have partnered with twelve NGOs and institutions, to reach six hundred children and young people who have participated in our programmes, with more than a thousand children and adults benefitting from our work. ​Our Volunteer Residencies may be short-term collaborations, but we believe they have a long-term impact. The intense surge of creativity, the thinking outside of the box, the fun, the colour, all offer the children new exciting opportunities and in many cases a transformative experience. 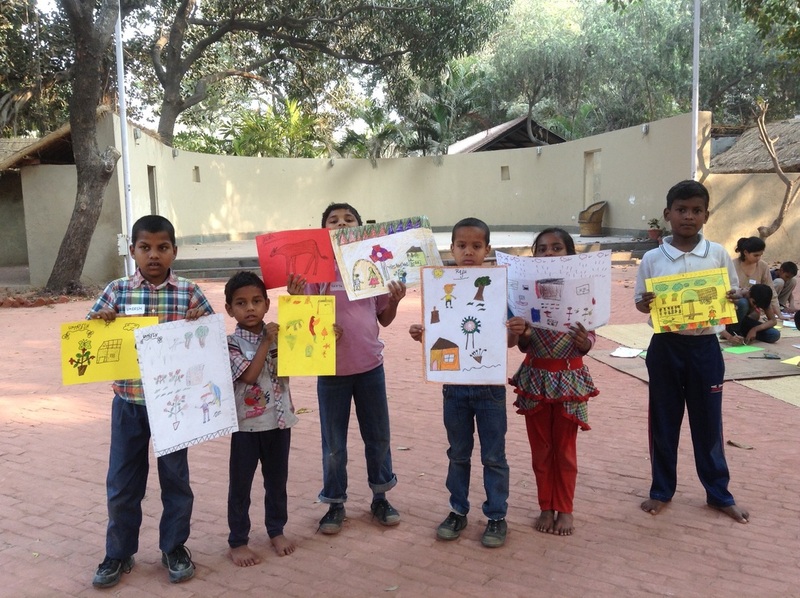 To offer more children like Deepak opportunities to explore and develop their talents, Artreach has launched an eight-month Teaching Fellowship. Through a sustained long-term engagement with a teaching artist, we hope many more young people will be empowered to follow their dreams as artists or embark on careers as creative professionals. ​Our 2015-16 Teaching Fellow was Anni Kumari. She worked with students from NGO Aman Biradari-Rainbow Homes. You can see images and read more about the fellowship here. This process seemed more intense, involved and introspective than the room-painting. The benefits are hard to describe in a few words, because it seemed to me that reaching within themselves and fetching those ideas and that talent from inside gave them an anchor that could very well persist for the better part of their lives. I don’t think it matters how many of these girls will choose art as a career, though it'd be great if they did. To me, what mattered was that attention was paid to their latent talent, possibly to nurture it further, but mostly to help them familiarise themselves with that shining, unique spot of talent they have. It’s never easy to 'tell' a child to see this bright shining spot, whereas to have them reveal it to themselves is priceless and long-lasting! Also, most children from mainstream family backgrounds are used to appreciation and discovering and showcasing all that is best about them. It isn’t as straightforward with our kids. I think this gave them that chance - appreciation, attention, discovery and showcasing, all in one. Vandana Kothari is Artreach India’s teaching fellow for 2016-17. 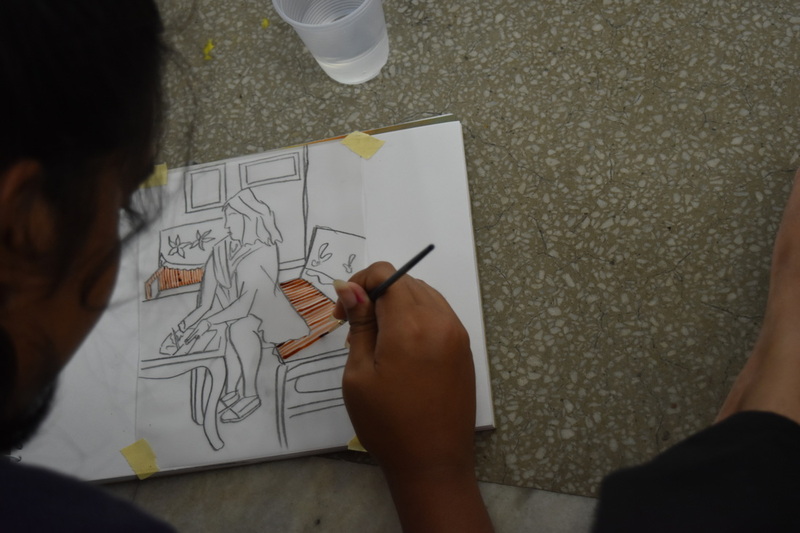 The programme is underway with students from NGO Udayan Care, and we are very excited to have received funding from the Kiran Nadar Museum of Art. 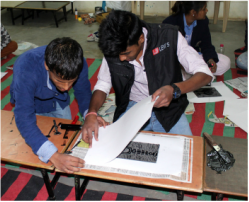 ​Our Khel Mel programme – bringing children from different backgrounds together to learn and make art in a fun and creative and neutral environment – is an attempt to chip away at the very deep social divisions persisting in our society. Gordon W. Allport’s ‘intergroup contact hypothesis’ suggests that under appropriate conditions (equal status, intergroup co-operation, common goals, and support by social and institutional authorities) interpersonal contact is one of the most effective ways to reduce prejudice and discrimination.